International calls and SMS app. Affordable international calls. Per-minute (pay-as-you-go) and monthly plans (when you have discounts on certain destinations). Call abroad and domestically using KeKu. Save money on your calls and SMS. You can record your calls. Just turn the setting on – and you’re good! 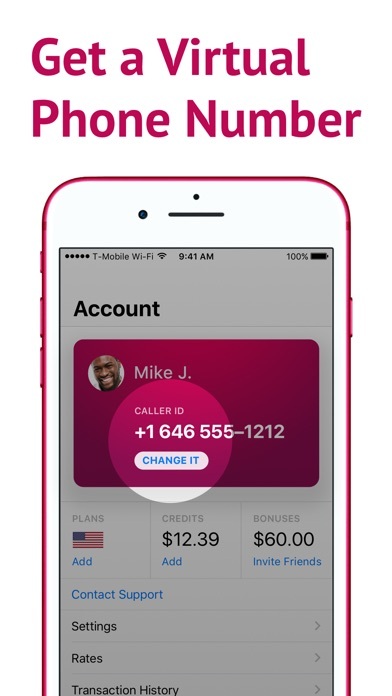 Make calls using your existing phone number or buy a second number. Use that number for your personal life or for business. Actually, you can buy multiple phone numbers. These numbers are available in the USA, Canada, the UK. Voice and SMS both work! 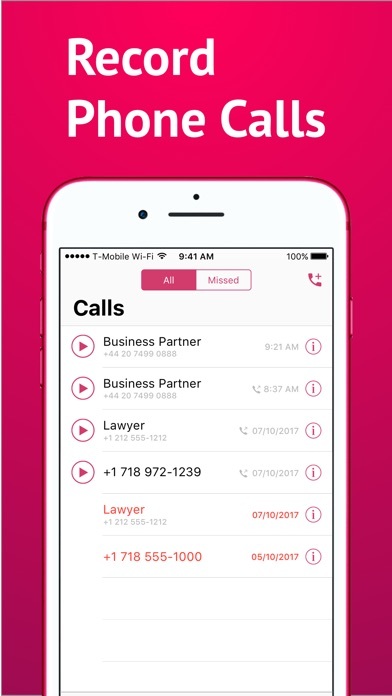 “Sound quality is great.” —Lifehacker.com “Make international phone calls anywhere dirt cheap.” —Business Insider. “Use your real caller ID, so anyone you ring knows who's calling.” —Lifehacker.com “Save big on your phone bill while travelling." —Financial Post. “Try KeKu. You’ll love it.” —Technorati.com. KeKu makes calls over your mobile data plan or WiFi. You can also use KeKu’s Local Number feature.¹ KeKu will connect you to your international friend by dialing a phone number local to you, right over your operator’s network. Download the app to see who you can call free and view KeKu’s low rates. Rates are posted in US cents. Your KeKu credit never expires. As Business Insider says, “There are no hidden fees or anything of the sort.” Plus, your credit, recent calls, and more stay in sync with any other KeKu apps you use, like our desktop calling app. -ABOUT KEKU KeKu is brought to you by StanaCard, a technology company headquartered in New York City. We connect people around the world with a high-quality calling service and simple mobile and desktop apps. ¹ Carrier minute and data fees may apply. Call drop after a certain Time. Not sure why. I have made several calls to Kenya without answers from the other end. But eventually I lost 2 minutes. Do we pay for unconnected calls? Useless! Pruned app to force you into sharing contacts. One simple question - why I can’t see all registered small dial numbers in this app. Instead it wants access to my contact. What the hell designers thinking??!! USELESS if I can’t see what numbers to dial or can’t register new friends numbers in this app. Used to be good, but turning bad last few months. 1st raised rates to Japan, and lately raised the rate for landline calls equal to mobile calls. Why? Landline calls to Japan are always cheaper than calls to mobiles. Now landline calls to Japan are 9.1 cents, equal to mobile calls, and 300% higher than a couple months ago. Something wrong here. If not corrected will be ending KeKu usage. I unnecessarily spent 10$ on this app for India calling. The call gets disconnected exactly after 10 minutes every time I talk! Such an awful experience. I have been using keku since 2011, and I have no complaints about.. but I wish they will increase the minutes to Ghana.. I download this app and try calling with bonus amount, call is very clear. 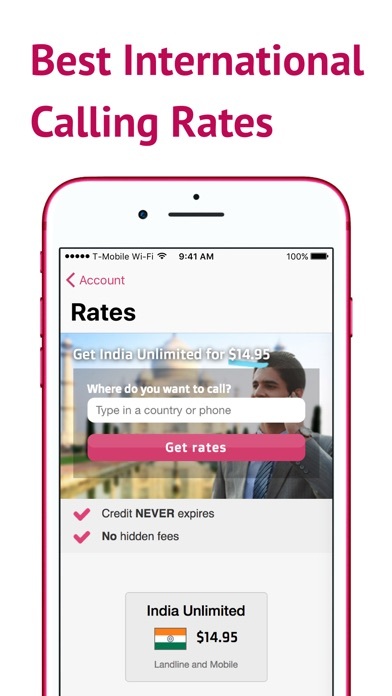 So i plan to buy India Unlimited Monthly Package 9.95$ & Same time i purchase 5$ for call all country credit. But after i purchase not able to make any india calls :| Then Within few hours my 5$ balance also gone from my account which i didnt use :/ Now Getting error “your account is on hold” I write to customer support no respons :/ I hope atleast someone can check my review here n fix my problem. This app is ok but the most annoying factor is a music that gets played automatically during the call and I have to disconnect multiple times.Secondly, once after the recharge is done the recording repeats the recharged amount more than twice and I hate to wait until the voice play is done.